In 1971, to supplement his multiple gas station businesses, Guy Benitez bought his first mechanical tow truck. Always one to provide the best service possible, Guy soon found that he had developed a loyal customer base and demand for the towing services continued to grow. 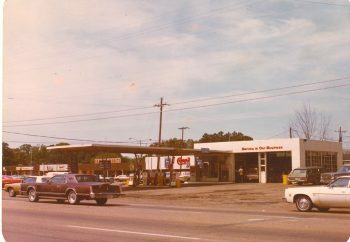 With the oil crunch and long gas lines of the 1970’s, Guy made the bold move to sell his gas stations and concentrate his efforts on the towing business. 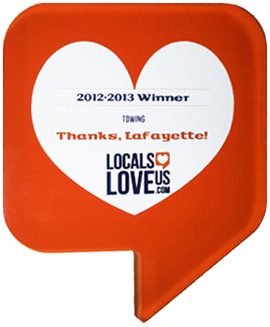 For 10 years, Guy continued to work on building the business becoming the dominant towing company in the Lafayette region. 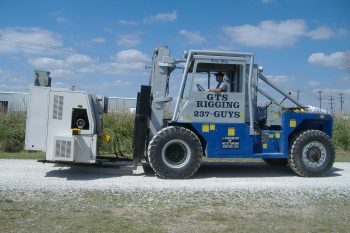 Guy’s Towing Service was soon know as the leader in light-duty, heavy-duty and hazardous materials towing and recovery. 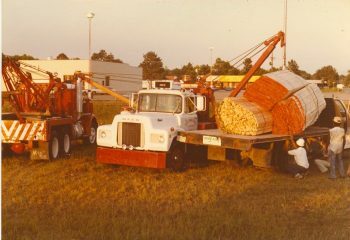 Here is one of Guy’s early heavy-duties, a Holmes 750 with split-boom capabilities using one heavy-duty as a counterweight to fix a load shift of lumber. In fact, Guy’s Towing Service led the way for hazardous materials training in the city before there was a city hazardous response unit in the city and long before there was a state police haz mat division. 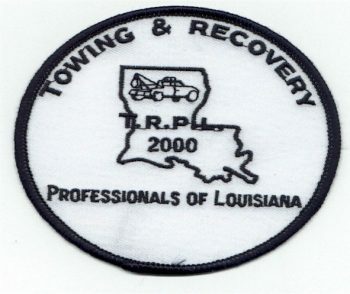 Wanting to become the best, Guy helped to form the state towing association, Towing and Recovery Professionals of Louisiana (TRPL) and the national towing association, the Towing and Recovery Association of America (TRAA). Guy served in many capacities in these organizations including President of both groups. 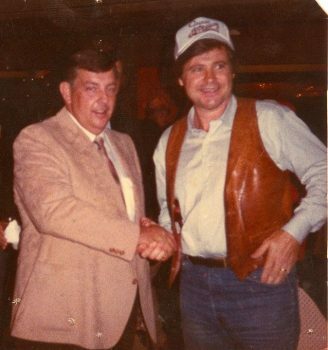 Here Guy is with “Cooter” from the Dukes of Hazard TV Series working to promote the image of the towing industry. 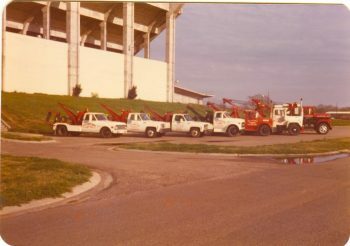 In 1982, Guy’s Towing Service moved to its location in Lafayette at 601 Crestlawn Drive. 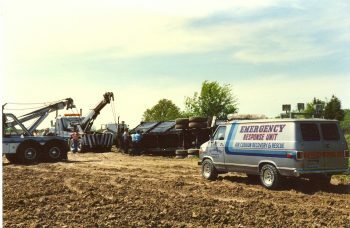 As Guy’s Towing Service became a leader not only in Lafayette but in the country, it also faced near extinction in the oil bust of the late 1980’s. 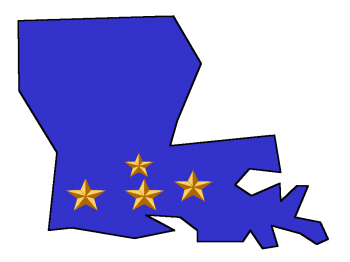 With spare trucks in Lafayette and little work for them, Guy made the very gutsy move to purchase Smith Towing in Baton Rouge and to transfer the spare trucks to the new Baton Rouge location on Florida Boulevard. 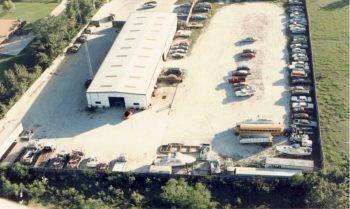 After surviving the 1980’s, Guy’s Towing continued to grow to over 30 employees and 25 trucks by 1996. 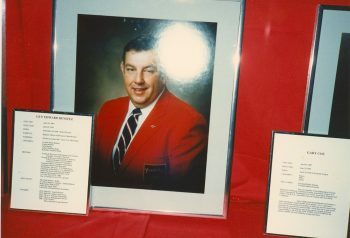 Here is Bert in the early 1980’s after Guy bought one of the first fully hydraulic heavy-duties in Louisiana. Unit 15 in all its glory. It was during 1996 that Miller Industries, a major manufacturer of towing equipment, attempted to form America’s first national towing company called Road One. 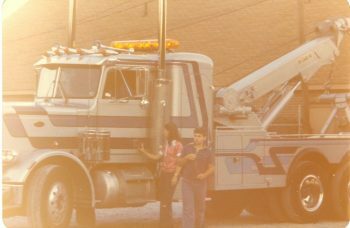 Guy’s Towing Service was among several of the country’s largest towing companies approached by Road One to form this nationwide towing company. During the last part of 1996 until early 1997, Bert King, Guy’s eldest son and a corporate lending officer, evaluated the Road One offers for Guy. While the offers from Road One were rejected, Bert’s interest in the company was reawakened and he made offers to Guy of his own. 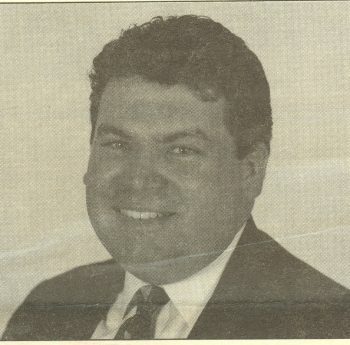 On April 1, 1997, a month before his 30th birthday, Bert King took over as President and CEO of GUY’S TOWING SERVICE having bought a majority interest in the company. Guy began to retire, but remained as Chairman of the Board, the title he currently holds lending advice from his 30 plus years in the towing industry. 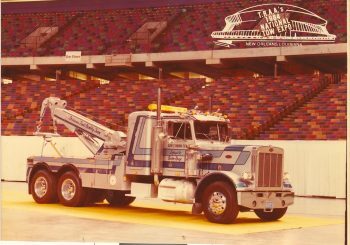 Not quite a year later, Guy’s Towing Service began negotiations with an old friend in the towing business from Lake Charles, Randy’s Wrecker Service. 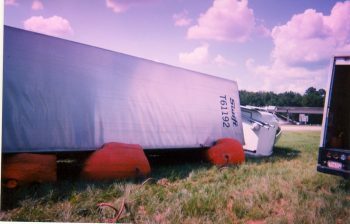 Negotiations fell through in Lake Charles, but began with a smaller company, Pat’s Wrecker Service in Opelousas. 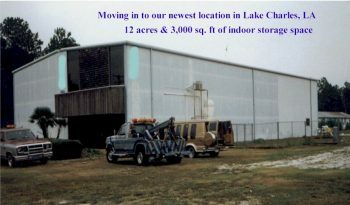 The deal in Opelousas closed quickly, but before Guy’s Towing Service opened its third office, the Lake Charles opportunity reappeared. 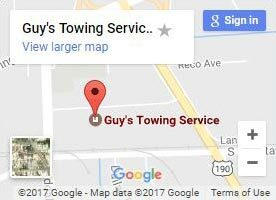 Guy’s Towing Service found itself opening two new locations in March of 1998. The growing pains were enormous and by the year 2000, Guy’s Towing Service was a 40-truck towing company with almost 50 employees. While being the largest company in the state and one of the largest companies in the nation may be a lofty goal for some, it is not the goal of Guy’s Towing Service. Being the biggest (with 50 trucks and over 60 employees) only means something if you can be the best at what you do. The goal of the owners and managers of Guy’s Towing Service is to become the best towing company in the nation – one that others look to and want to become. We want to set the industry standard and are willing to make the hard changes necessary to become such a leader. 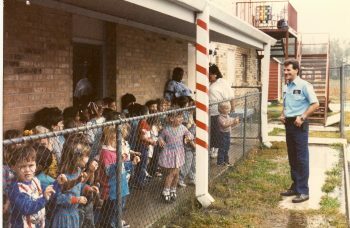 We become this by serving others before ourselves – our company becomes better by serving our customers first, our managers become better by serving our drivers and dispatchers before themselves. Here we are spending time talking with children from a local school about the towing profession. Guy’s has long been the primary supporter for the T.O.W.E.D. 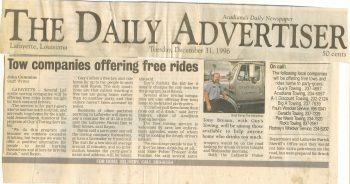 Program (Towing Operators Working to Eliminate Drunk Driving) and have offered rides during the holiday season for over 25 years now. Being the best also requires the best training. Over the years we have obtainined training from highly regarded people in the industry such as Ross Kinman, Bill Jackson Training Schools, Miller Industries, LSU, Texas A&M, TRAA, and Wreckmaster, which we believe is currently the best provider of training services available anywhere in the world. This is why we offer the Wreckmaster-based training that no one else does, up to date equipment that others won’t, and benefits that others only talk about. 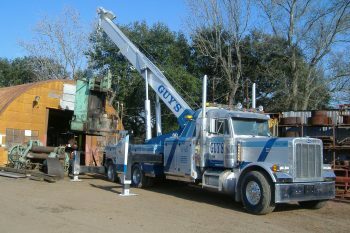 At Guy’s Towing Service we are constantly improving and investing in those areas necessary to make our dreams a reality. Here is one of our latest investments, a 60-ton rotator to complement our 70-ton rotator as well as the newest addition to Guy’s Towing, Guy’s Rigging Service. We will continue to look for and keep those people that want to be part of something larger than themselves; that want to be part of a team; that want to be the best at what they do.